Here is everything you can expect to do on your first visit. 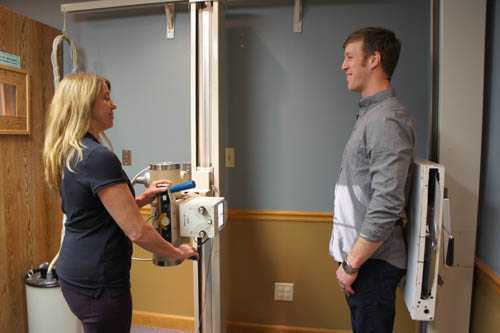 Upon entering our office, our chiropractic assistant will welcome you as a member of our family. We will request that you complete our patient forms either in office or online by going to a link that we will email to you after you schedule. This paperwork provides us with your health history and information on your condition. 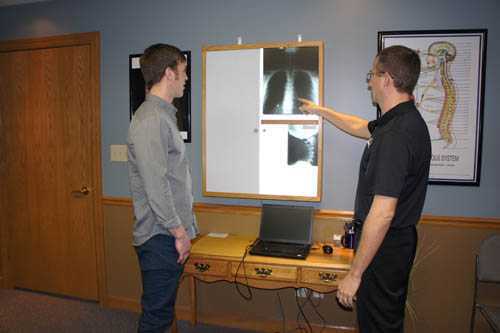 Next, you will have a consultation to discuss your health-related problems, concerns, and potential treatment options. This initial visit is designed for Drs. 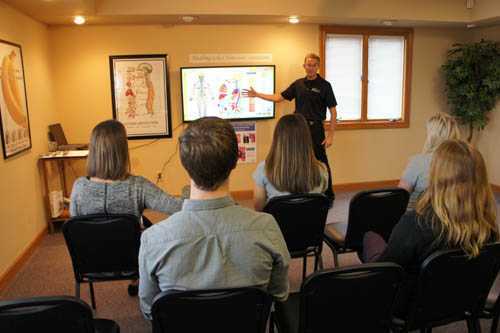 Andy and Jennifer Scoles to learn more about you, your condition, and expectations to determine how chiropractic care can meet your goals. After your consultation, you will receive a complete chiropractic examination using our state of the art thermography and semg testing. Other standard neurological, orthopedic, postural, and physical tests will be performed as they relate to your condition. Once the information is collected and examinations are performed, you will be scheduled for your Doctor’s Report. Drs. Andy and Jennifer Scoles will share more detailed information about how chiropractic can help you as well as tips on how to prevent the problem from re-occurring. After reviewing your health history, goals, and examining your spine and X-rays, Drs. Andy and Jennifer Scoles will discuss recommendations and notify you if your condition requires care with other providers. Drs. Andy and Jennifer Scoles will provide the best treatment and wellness program for your needs. At the conclusion of your Doctor’s Report, you can choose to experience your first specific, scientific chiropractic adjustment. This will start the healing process and allow your body to start functioning better.